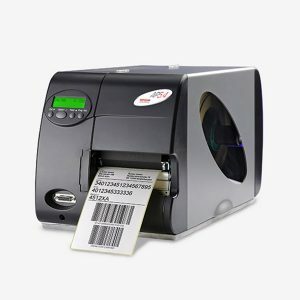 Robust, versatile and easy to operate with the flexibility to print barcodes, fonts and logos on a wide variety of label materials, from paper to plastic. Efficient and flexible printing of labels with simple integration into existing processes and internal networks at any industry and location. Print speeds up to 150 mm/sec and ribbon rolls up to 500 meters. Easy replacement of the print head and straightforward operating controls all make the operator’s life easier.